I've been told about a new firmware for FI8904W and received a copy of it (Thanks Neil!). At the same time I also received the corresponding update for the FI8908W from Foscam as I was asking for news on the unfinished FPS parameter introduced in the version 11.14.1.46 still present on Foscam download center. As always, don't use these firmwares if you have any reason to suspect that your camera is not from Foscam. 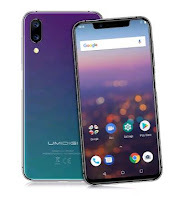 Other look-alike cameras such as Maygion, EyeSight and EasyNP will be bricked by Foscam firmware and require updates from their respective manufacturer. - Videostream FPS can now be adjusted (see updated videostream command below). You will find this handy to control the bandwidth used by your IP cameras. Not fixed: The errors introduced in the tilt function are still present. An updated WebUI 2.4.8.14 file fixes the PTZ bugs above, I've updated the archive with it. Big thanks to Paillassou! This will prevent the camera from rotating on reboot. You won't need to re-position the camera each time. The included IP Camera Tool needs to be updated to 7.2.34 as per instructions. Last minute: While I didn't encounter problems myself, some users had troubles with this version IP Camera Tool. Is it possable to name the FTP file that is transfered with this firmware? Foscam told me it would be, but no mention of it again?? it's not yet there from what I can see. I tried this update yesterday with the FI8904W (no PTZ), but I just tried it on the FI8908W this evening, and I'm not too impressed with how they messed up with the PTZ function in general. Hopefully there will be a further firmware soon. I understand why they didn't publish this one on their own web site. Important note: in the Web UI 2.4.8.14 firmware, in the Firefox (PUSH MODE) interface the tilt function is broken. Crap... I think I upgraded in the wrong order. The two videostream links are working but everything else is 404.
can't you just re-flash through the ip camera tool ? the bug about the 2 errors in the tilt UP and DOWN functions (push mode) is just a error in the file "camera.htm" into the html source code. copy the little file "camera.htm" from an old 1st (not BIS) WebUI 2.4.8.12 and re-assemble the new WEBUI 2.4.8.14 bin => the problem will dissapear..
FOSCAM (tech) must only do that... please. where to find buba's files ? on hios image i see 11.14.2.17 form firm and 2.4.8.14 for webui ? have someone noticed that ipcam cannot connect to hidden SSID ? you think foscam will solve this ? as indicated in the post, these firmwares have been sent to me and another reader directly from Foscam. They're not published on their web site probably because they're aware of the bugs described above. They're supposed to know about the hidden SSID issue, but you could still email them as well, with enough feedback, they'd probably start considering fixing it. There are older firmware versions available in my Firmware history page. Hello everyone I hope not to be out forum. and they said that is not possible. Do you know if there is any firmware version that does these things? Dowload the latest IP-Cam version, I had problems updating firmware in 2 cameras and not able to comunicate anymore with them. Downloaded the app from here: http://www.webcam4.eu/wp-content/uploads/download/IP%20cam%20tools_7.5.32.zip ....and worked perfect, even with the latest firmware downloaded from the Foscam download center. They have put something in their new fw and Ip-cam soft to brick the cameras, but with the version I downloaded both cameras works perfectly. I think these 2 features can only be achieved using some of the 3rd party camera clients presented earlier on this blog. The PTZ preset position becomes less important once you use the cgi command "ptz_center_onstart=0" to prevent the camera from rotating on each restart. Check the post "shortcuts to some ip camera functions". strange, I didn't have any problem with Ip cam tool 7.2.34. Good to know there's a 7.5.32 though, thanks! I had a report of another user having problems with the initial IP cam tool, so I updated my post with the version 7.5.32. Thanks Paco! Bubbah -- we're up the road from you in Co Armagh -- I installed an IPCAM01 at our flying club but the video quality is very poor. Everything looks like a post-apocalyptic wasteland. And there doesn't seem to be a way to set the brightness/contrast to work in all weather (i.e. bright and dull). Has anyone any advice on mode/contrast/brightness combinations that work well for outdoor use? I thought upgrading the firmware fixed the problem. Is there a problem with WPA encryption? after I rebooted, and even restored factory default, it will NOT connect to my wireless router. If I take the encryption off, it connects. Hi Michael, it is common for these cheap cameras to show the vegetation with pinkish colors. I think it's partially due to the absence of IR filter to allow the camera to work in the dark using the IR LEDs. It is possible to change the lens by unscrewing it all the way out. The only thing is to find a webcam (with IR filter) lens that could fit. Lidl sometimes sell those SilverCrest webcam that may have the thread (M12x0.5). I've got one at work, I've yet to try this. For the brightness, depending the day (quite sunny lately) I use the Outdoor mode (even when looking indoor), with values between 3 and 6 for Brightness and always around 4 for contrast. I have the feeling that the latest firmware improved things a bit. audio: you need to use the ActiveX interface (under IE) and click the tiny icon for enabling audio, or use VLC player to intercept the stream, see the topic #8 from "Faq for IP cameras" post. I use WPA TKIP, but apparently you must keep the broadcasting enabled on your router for it to work. I got WPA TKIP to work once, but after I rebooted the camera, it stopped connecting. broadcasting is still enabled. when I look at my wireless router, the camera tries to connect then it gets disconnected. I have other wireless devices that work fine. is someone know when this firmware and webui will be official on foscam site ? I finally got the wireless to work with WPA TKIP. I guess it just takes a while to connect. around 5 mins or so. My other wireless devices don't have a problem... really strange. since I upgraded to 11.14.2.17, it looks like the movement of the camera is much faster, is there a way to slow it down a bit? yup, figured it out, i thought the patrol rate was only for the patrol speed. does anyone know how to play audio stream on foscam speaker without using Active X? it must have some command to play audio stream that coming to foscam since foscam use uclinx. has anyone tried saving the snapshot.cgi image using chrome? it displays the correct snapshot, but when I save it, looks like it does another refresh and saves that image it captured again. After saving, the browser still displays the original snapshot made. Is there any suggestions why I get only audio with VLC, I don't see any video if I use http://[camera_ip:port]/videostream.asf but audio works fine. If I try to use .cgi, I can see the video without audio. What is the secret to get VLC show both audio and video at the same time? Can somebody give example how to use /videostream.asf[?user=&pwd=&resolution=&rate=] command correctly, for some reason I cant get it work with /videostream.asf[?user=username&pwd=password&resolution=32:640*480&rate=0] Is there some typo that I made? Onni: how about trying /videostream.cgi ? Now that I have read the whole message:) Sorry. Audio-Graphics Equalized and Spatializer disabled. You were right, the .cgi didn't work. If it fails on your mac I can beg my wife to let me use hers. She really doesn't trust me. I don't exactly know how it works but I put "http://......" on the first page and then streaming settings I used the http selection but put in the ip address for the location, and port 80. Real lag though 15 seconds or so. Works fine. I didn't test the resolution and rate stuff on the mac though. If you still have problems I can take some screen shots; or some such. OMG Paco, i did what you posted and worked perfectly !!! Thank you so much ! I really love this site ! Ray: Thank you very much! I had to remove those  from the url to get it work properly. Now I have video and audio both with VLC! I have a question about the DNS settings. I have 4 Foscam cams (4 different models) working fine on my WLAN. I've opened a DNS address at dyndns.org and set it in my router. I log to one camera through the internet and with the multi-device tool I have the 3 others. This is working very well. What is the difference if I set the DNS address in my router or straight in the camera setting? Does it change something? I'm really satisfied with Foscam cameras, I bought the first one more than 2 years ago and it's still working. The quality is very good for the price. Of course there is better but it's more expensive. For my use, it's more than enough. The annoying thing is the outdoor views. When the motion detection is set, the alarm is activated easily if it's sunny then cloudy or with trees shadows. It can be also difficult to get a clear picture if there is a big contrast, for example for the camera on my terrace, half under the shadow of my balcony and half under the sun. I had to find a middle setting. Sometimes I don't know why but I have to change the mode (outdoor/50Hz/60Hz) otherwise the brightness and contrast don't change. And of course I have the latest FW and WUI on all of them. I wanted to change the lens of the FI8904W but like Deal Extrem screwed me up by sending only one lens instead of the pack of 6, I gave up and let it like that. I try to get use to the pink trees and bushes in my garden but it's hard. That's a very common complain about these cameras. I'm still looking for a better lens, and if I do, I'll post the info. I think you could set the DDNS from your camera with no problem, but, in particular with several cameras, it's so much easier to do everything from the router. I've tried the lens from a webcam this week but couldn't get a good focus, otherwise I could already see better colors, like green trees instead of pink. So there are better lenses out there, the challenge is to find the right one. I'll post something if I end up with a solution. Someone complained that the FOSCAM would send a false alarm email when the schedule changed with the scheduler. I have set my camera's alarm scheduler to go active/inactive every half hour. So far no false alarms. I have the camera in a poorly lit room with two windows with partially closed Venetian blinds - so the light does change slowly with day/night cycles. The FOSCAM appears to tolerate such slow lighting changes without triggering the alarm. However, as an experiment, I turned the room light on and off a couple of times. The rapid change in lighting DID send an alarm email. This makes perfect sense because ALL pixels rapidly changed when the lights were turned on/off. A follow up to my post of June 17th. I have a FOSCAM model FI8904W, Device ID 00606E8365E2, Firmware Version 11.15.2.17, Web UI Version 2.4.9.14. I read on an Internet forum (don't remember which) that the camera would false trigger an alarm each time activated by the embedded scheduler function. I tested this and found it to be true. I placed the camera into an empty room and closed the door so that there would be no motion source. I set the schedule to alternate alarm enable between active and inactive every 15 minutes. I left the sensitivity at the default value of 5. Every 30 minutes, when the schedule activates the alarm, I receive an alarm email. I conclude that there is a software bug in the automatic schedule alarm enable that causes this problem. I have emailed FOSCAM in China but have not yet received a reply. Have others experienced the same problem? Using the new tool, (ip camera tool), the update is still failing. Getting stuck at 89-90% and then connection goes off. :( any ideas? 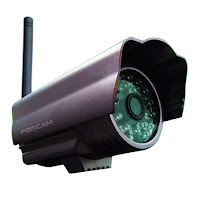 The New Firmware posted in this blog New Firmware for Foscam cameras by Bubbah on Monday, May 17, 2010 is beta. The new release candidate with the same version number fixes the problem of triggering a false alarm when the scheduler changes to enable. FOSCAM technical support promptly responded to my questions and emailed the latest firmware (A Release Candidate) to try. She indicated that she duplicated my test and got no false alarms with this firmware. She is right! How are u flashing the f/w? using the webUI tool or using the jtag? if use IPcamtools for update new message: Refused by the camera ! this message i saw when try to update firmware and WEB UI. But camera is work. http://ipcamera/snapshot.cgi - i see pictures, when i try to do web update http://ipcamera/upgrade_htmls.cgi i see massage error: this cgi only support post method. How to update web UI? there's no need to post the same question on all 20 ipcam-related posts of this blog. I don't miss any comment since they're automatically emailed to me. I'll reply on this post because that's where you may find the solution: try the ip camera tools version 7.5.32 mentioned above, it seemed to solve the problem for some. On important thing: always hook the camera to the router for flashing. Upgrading through Wi-fi often leads to this situation. Mr. How about doing firmware update at linux ? can i use the web UI to do that or i must use windows, change of ip.. etc ? and, with order of upgrades are that commented at beggining ? I updated my F/w and UI successfully. But darn thing the controls (pan-tilt-zoom) etc are all missing in the web-UI. (For all the admin,operator and visitor.) What is going wrong? Is this a known bug? @ Bubbah! - Dang, wtf moment..! thanks for the update. can i get the newest f/w for fi8908w ? If yes,can anybody share the link pls? Also, will the update process work as before using the current ipcam tool? :-) What is the safest way to undo this operation. it's still in the post above, click on the word fi8908w which leads to the firmware history page. You'll find the system 11.14.2.17 + Web UI 2.4.8.14. Download and install the ip camera tools 7.5.32 first. You just need to re-flash using the ip camera tool. Make sure you do through the Ethernet port not wi-fi. @ Bubbah - thanks. All good now. I don't know how I endedup flashing the other f/w. Also, had little bit of trouble,since the new IP tool stopped recognizing my device. So, played around a bit to get it going. The funny part is, emailed the Foscam support folks and apparently they do not support the devices that are NOT bought directly from them. How crap!. They ONLY support if the device is directly bought from them. I bought mine frmo Amazon(reseller, Valuelink). Nevertheless, its pretty good. Also,what is the tool to view the camera remotely on iPhone or Evo (Android devices?) without using the browser? You should check the post on Third-Party software for Ip Cameras, near the end. I personally use "Ip Cam viewer" for Android. @ Bubbah - thank you!. Also, did somebody notice that when I display the timestamp on the video ,it defaults to EPOCH time? @Bubbah, any news on the lenses? the cam is pretty stable, but the purple trees are really anoying. any solution with other lenses? also, anyone struggeling with the auto-ajustment in different light situations (cloudy day, sunny day), the cam is not ajusting itself to this. However there are some good viewers for iPhone too, check this post. IP Vision Pro is the most popular but Touch Cams looks quite cool. Does anyone have any news about firmware to include the feature of naming the ftp file transfered to webcam.jpg and overwriten every time it uploads. I really need this feature. Any ideas of how i could make it possable? @ Bubbah - Thank you !. Ya, iphone - thats for better half. :-). I am still in market for Nexus or something similar. HD2 looks good,but no native Android on it yet. Will let u know! & Special thanks again to Bubbah for always helping out! . et c'est pas la première fois, ça deviendrait même une habitude! Je crois que je vais en parler à Terry (de chez Foscam). Guys its really easy to get rid of the IR light all you have to do is buy an IR filter and stick it over the lens or if you want it to look neat, open up the camera and find a way to stick it inside. I've got a clone foscam but I wanna update the firmware. 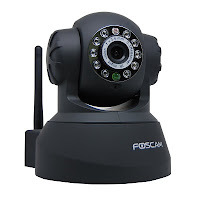 What would happen if I use the foscam firmware? would it brick or would it work with their firmware? You're likely to brick your camera if you don't know what exact clone it is (EasyNP, Maygion, EyeSight, ...) They all use different firmwares and are not cross-compatible. I've recently purchased an FI8908W to monitor my dog while I'm away. I seem to have everything running properly through VLC (On OS X 10.6.3) but the audio has this incessant beeping noise in the feed. It's either some kind of interference or the camera is trying to tell me something. Anyone had any experience with this? It's probably an interference, the camera is poorly isolated. This could come from the power adaptor, a nearby device, or wifi itself (compare with the camera connected to the Ethernet port). I get some background noise too, but it's faint enough to be not a problem. I suspected as much but many thanks for confirming the shielding issue. It is currently sitting directly next to my wireless basestation as well as a number of other boxes and gadgets, so I will move it tonight and see what happens. check the FAQ for IP cameras about this problem. The camera cannot connect to hosts using encryption. Sorry I did not mean to disturb. you're not disturbing, just take a look at the topic #3 from the article titled "FAQ for IP Cameras" on this same web site. Your answer is likely there. If anybody is interested. I have a recording and access server setup on my LAN; and hopefully on dyndns.org shortly. This is using Ubuntu server and an ethernet hub; although it also worked over a wireless link. I am using an hourly script to packup the ftp files in mpeg every hour, and remove the ftp. I also delete the old files mpeg after a week. If somebody wants the setups/scripts let me know. Somebody called upperlip apparently left a comment on here I can not find. In any case he wanted startup help for wireless. I would recommend pinging the camera address, presuming he assigned it static or knew it though the dhcp server. Hi there - I am new to this Forum, and new to Foscam cameras so apologies if my question has been answered elsewhere. I have 3 x Foscam cameras - 2 x FI8904W sited outside, and one FI8918W sited indoors. These cameras seem to offer very good value for money, and I am generally pleased with them. One niggle I have is regarding the Brightnes / Contrast on the FI8904W's whereby during the day the brightness needs to be 6 and contrast 4, but to be able to see anything on the camera at night with the Ir the settings need to be 10 & 5. Is there any way to automate this - I cant find anything in the provided SW, so I am guessing this needs to be scripted somehow - I use both Mac and Windows. you can find a reference document with all the cgi commands (inluding brighness control) in the Firmware History Page. You would just need to send a particular url with the desired settings. Many thanks - I found the doc and will take a look - I will need to work out the best way of automating this in the background so that say at 10pm I can increase the brightness and then at 8am change it back to a lower value. If anyone has a method they can share I would appreciate it. FYI - I have a customer that needed just what you're looking for. I needed something FAST so the quick and dirty version is a VBS that is run every so often using Windows Scheduler. The script gets current hour and makes HTTP posts to adjust accordingly. Following this post (for character limits) is a (large?) snippet. Tony, I suggest using wget might be simpler. If you have a linux or mac computer, set up two cron tasks that run at the appropriate time that use wget to tell your camera to adjust its settings. Foscam tech guys confirm me that the new FPS setting does not work. I mean: when i open the web ui fps is set to max. If i set it to 15 fps (for example), and after i log out, when i will enter again in the ipcam web ui, the fps setting is fixed again on max. I think there is a bug that does not allow the saving of the setting. In fact the wrote to me that "About the problem that can not save fps,yes,in currect software. The fps can not saved if you close the browser,our engineers will try to fix this in future software." yes, I see the same. The FPS works for as long as you keep the AX interface open, which is useless for me as well, since I don't use IE. They are also still supposed to release some updated CGI SDK reference doc. I suppose there will be a CGI command to do this via the url. I have the FI8908W from DealExtreme and updated the ipcam to the latest version. It is working fine, but it gives an annoying beep sound when an alarm is detected. Is there a way to switch off that irritating beep sound ? I cannot play music and have the cam running on the same computer. The only way to get rid of that sound is to disable the motion detection in the alarm settings. @ Bubbah, for FPS matter. But the (/videostream.cgi[?user=&pwd=&resolution=&rate=] OR /videostream.asf[?user=&pwd=&resolution=&rate=] ) cannot be used to set the framerate? Does IPcamera not remember the setting? no it doesn't keep the setting, I reported it to Foscam few weeks ago. Hopefully they'll improve this. I have a clone cam, with Device Firmware Version 0.0.2.1 and Device Embeded Web UI Version 0.0.0.1. can you recommand a way to upgrade the firmware and the web UI? Just don't take a chance if you could not positively identify the manufacturer. It takes 5 seconds to brick it forever. A device reset didn't help, so I couldn't upgrade the “Embeded Web UI “ because the web interface is offline. It's seems the the camera is bricked, Any suggestions? After a device firmware upgrade (lr_cmos_11_15_2_17.bin) the web interface of my Foscam camera (FI8904W) is entirely wiped out. The camera works again in Ethernet mode only, with the default password and the IP received from my dhcp server, but the web interface is missing. but the IP is wrong, so I have changed the wrong IP “192.168.0.99” with my ip “192.168.1.108” in all HTM/HTML files using a batch process (program used “Inforapid Search & Replace”). With this interface I could manage the camera, so I have uploaded an updated web interface “2.4.9.14.bin”. I receive an error, but after 60 seconds the camera reboot with success. Now it seems that the camera works again. I hope that this post could help some users to un-brick broken camera. Thanks for the update. One important point is also to use the latest ipcam tool to flash the new firmwares. This solved similar problems. How can I automate resetting brightness? I have 6 Foscams, at least they say Foscam. 4 x FI8905W and 2 x FI8904W. The brightness is a pest. I'd like to be able to tell each of them to: Default settings, then change to 640 x 480, then select Outdoor mode. I'd like to send this say once an hour from my Win XP PC. This seems (maybe) to let the camera reset the brightness. So hopefully I can automate it somehow. Hi, I need to decrease the JPG compression level in a Foscam FI8904W, the quality of the uploaded image in my ftp server is terrible. I have already installed the latest firmware, but there is no settings for the JPG compression level. Apart from switching to 320*240 on and decreasing the sensitivity on the camera, your only other option is to use an external application (see the post on 3rd party software) or use the Surveillance application that comes with some NAS like Synology DS109. It comes with a license for 1 camera and their application is so much better than what you have in the camera. The reason I'm not using it with 3 ip cams is that I find the cost of license for using additional cameras excessive (nearly the price of 1 camera). My target is upload via ftp the image each x time with the same name, so i can after reach it by a simple HHTP page or dirct URL to jpg image. I did this ver well with Hamlet IP cam, but now i need a wifi connection.. This feature is not implemented in Foscam camera and has been requested to them for a long time now. There are still new fw version expected. They do send new firmwares on request if you email them with your DeviceID and Fw version. So if i email foscam support do they send me a fw where i can set image number? for montebue: have they sent a specific firmware have you solved you problem? hmm I upgraded my 8905W but now I see I have no more infrared working also not showing up in the 2.4.9.14 web interface so I guess I did a downgrade damn. Btw, how secure is that backup bin file it saves my email passwd in clear text!